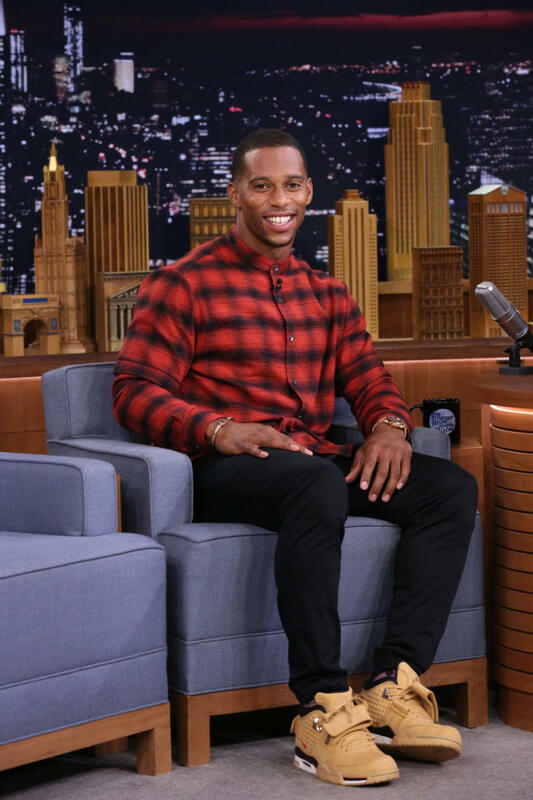 After months of previews, Victor Cruz makes his first Nike signature sneaker official tonight. 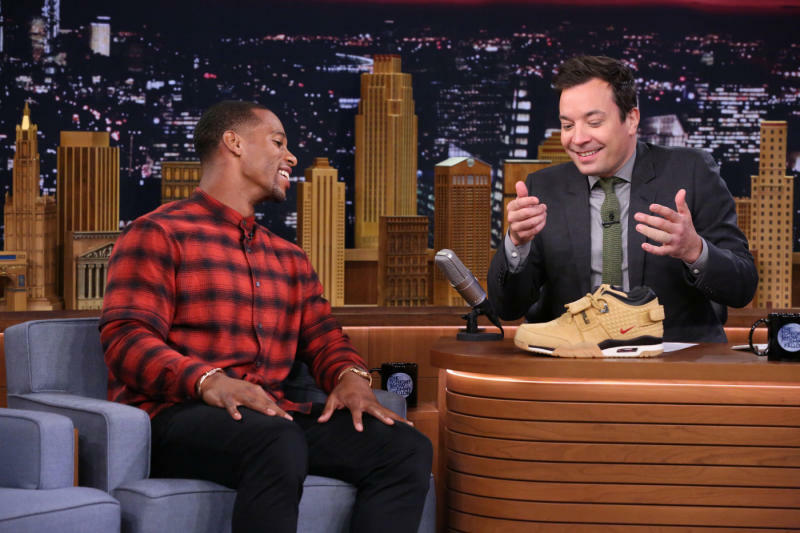 The All Pro wideout is scheduled for an appearance on The Tonight Show Starring Jimmy Fallon, and will mark the occasion by lacing up the Nike Air Trainer Cruz in public for the first time. The "Haystack" (or "Wheat") colorway that hit the web earlier today gets the nod. 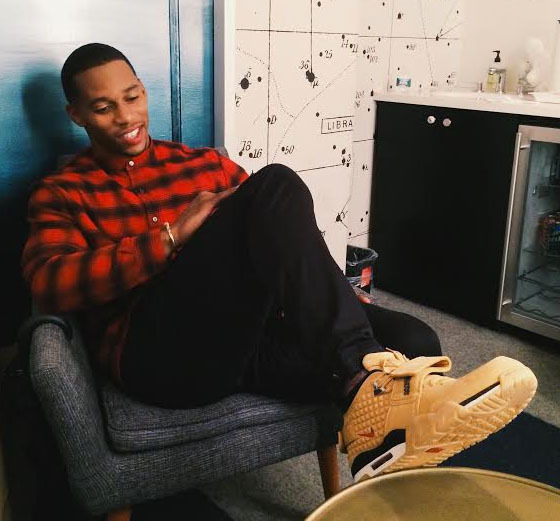 Visit Complex Sneakers for behind-the-scenes-coverage.